Mark Anthony Garrett has started a movement to empower teachers worldwide and help spread awareness about their vital contribution to the growth of society. “I want every teacher in the teaching profession to know that they are valued and appreciated for the service that they bring to the world,” says Garrett. In light of his growing popularity as an author and public speaker, educational consultant, Mark Anthony Garrett has embarked on a mission to spread his transformative message to teachers all over the world through motivational speeches and presentations. The theme of his groundbreaking movement is ‘Teachers Are Heroes,’ which focuses on the role heroic teachers play in shaping the future of students while empowering them to be their best. The movement started by Garrett does not only serve to inspire teachers to give their best in the classroom, it is also geared towards getting more parents involved in the educational process while helping to create a holistic approach to shaping the minds of future leaders. His message has helped propel him to one of the top keynote speakers and experts on teacher training and staff development within the K-12 educational industry. Garrett’s drive to inspire and empower has seen his Teachers are Heroes message being converted to a book of the same name. His movement has also been embraced by educators and stakeholders in the education sector, making him one of the most requested motivational and keynote speakers for education. 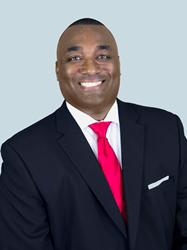 In addition to his contributions to teacher training and educational staff development through his Teachers are Heroes project, Mark Anthony Garrett is also a successful leader, businessman and former international radio talk show host. His movement has also been featured in several reputable media channel shows and magazines, including ABC, NBC, CBS and Forbes Magazine. Individuals, educational institutions and other organizations who might be interested in Garrett’s movement for teachers can contact him on the website teachersareheroes.com. An inspirational speaker for over 17 years, Mark Anthony Garrett grew up in the tough inner city of Dayton, Ohio as a foster child and was then later adopted. Although his surroundings were often negative, Mark was encouraged by a Teacher to NEVER GIVE UP on life and to always Strive for Excellence! Mark went on to become a two-time U.S. Achievement Academy Award Winner, recipient of the National Collegiate Minority Leadership award and received the highest honors given by his college, which were the President’s and Trustee’s awards. Mark also returned to college and earned a degree in entrepreneurship.